LeBron, Kuz, Hart, and Stephenson all playing pickup yesterday at the Lakers' practice facility. NBA is around the corner, y'all. Hosts, Randy King and B.J boy discussed a multitude of Lakers topics including what to expect out of the Lakers once the preseason tips off. 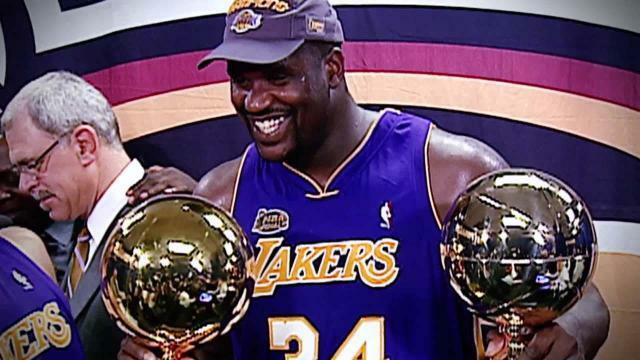 Later in this episode, several comments from former Laker great ‘The Big Diesel’ himself Shaquille O’Neal were discussed. Do these hosts believe that he could average 50 a game? That would be correct B.J, the last player to average 50 points per game was Wilt in 1961-1962 where he averaged 50.4 PPG and 25.7 rebounds a game as well. Safe to say I highly doubt that Shaq, even in his prime, would average that in today’s NBA. DeMarcus Cousins gives LeBron, the Lakers respect. One of the most interesting topics we had discussed came from the news that Kevin Durant is planning on moving down the state of California to wear the purple and gold next season. From that discussion came several profound points including whether or not it would create the most dominant duo we have ever seen assembled. Other Lakers news was discussed but hopefully, this leaves you wanting more and you enjoy another evening inside of the Lakers Lair. Enjoy!